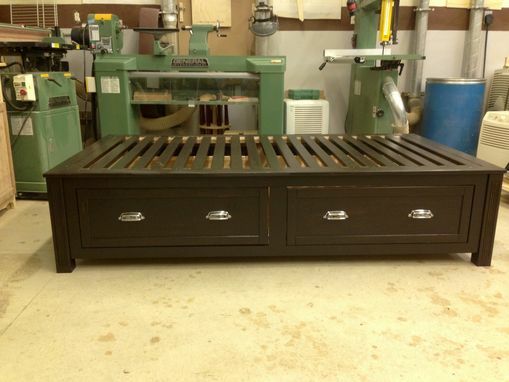 Per the customer's request, this Dark-Stained Cherry Twin Bed has 2 large undermount drawers. Each drawer moves smoothly on Blumotion soft-close undermount drawer slides. 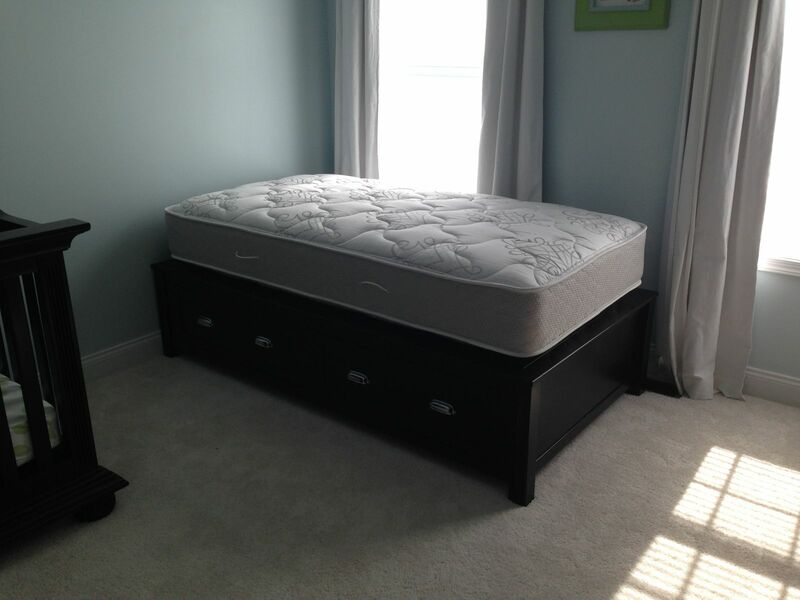 Instead of a large sheet of plywood to support the mattress, the customer preferred slats to carry the weight. The customer also wanted the Twin Bed to match the color of an existing dresser, so the stain was matched & applied to the Twin Bed. After the stain was dry, 2 coats of a satin polyurethane were applied. The craftsman labelled all parts of the bed so the task of assembling/disassembling the Twin Bed for the customer was easy. A final touch was that the craftsman also provided the customer 18 photos via email of the assembly process of the Twin Bed.